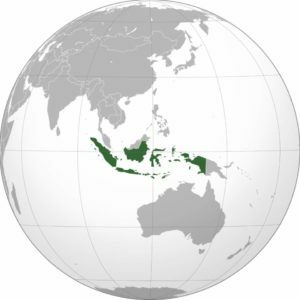 Indonesia, officially the Republic of Indonesia is a country in Southeast Asia. Situated between the Indian and Pacific oceans, it is the world’s largest island country, with more than thirteen thousand islands. It has an estimated population of over 258 million people (as of 2016) and is the world’s fourth most populous country as well as the most populous Muslim majority country. The world’s most populous island of Java contains more than half of the country’s population. For some people, travelling is beyond a hobby; it’s a way to escape life. But the most crucial decision is where to travel and how to optimize your trip within a budget. Well, we all think that Travelling Abroad is expensive! Planning a trip abroad with family might be heavy on your pockets. It’s the time to break the myth… Actually, there is a plethora of international destinations that will not only be easy on your pocket but will also provide you with the most cherishable experiences in life. One can easily travel to a foreign country in the same budget as would be needed for a domestic trip. All it requires is planning and a lot of research. We know that just the sound of the word ‘research’ feels lethargic. Therefore, we have covered this difficult part for you already. Now, you are left with the work of choosing one for yourself. Well, that has to be done by you. Here, check out the top 7 cheapest destinations below. When we are getting bombed by millions of pictures detailing the beauty of every corner of the world, it becomes tricky to pick one out of it. When every tourist site appeals to us due to the swarms of people crowding them, we all want to find out the list of places that are truly worth the wait. Those who have traveled around the world can best guide you to find your favorite spot based on your interests. Travel and tourism should connect your soul to the natural beauty around the world. No matter how many choices are available out there, the peace that a nature studded place brings to your heart is irreplaceable. If you are a true Nature Lover, you will find your next favorite spots here. If you have already seen the Seven Wonders of the World, you must be seeking your next best tourist spot. We have consulted different tourism enthusiasts and came up with 8 most popular tourist attractions that you MUST visit to add to your travel diary. Here is the second post of the 10 Lesser Known Natural Wonders series. A few more amazing places on Earth, some of them even look extraterrestrial. Here is the first post of the series: 10 Lesser Known Natural Wonders (I). On August 26-27, 1883, a small island in the Indian Ocean obliterated itself in one the most notorious volcanic eruptions in history. Krakatau (often spelled Krakatoa) erupted with such violence that two-thirds of the island, about 23 square kilometers, sank into the Sunda Strait. The explosions heard in the 1883 eruption remain the loudest noise on human record. The sound was heard across the Indian Ocean, as far away as Rodriguez Island, 4,653 kilometers (2,891 miles) to the west, and Australia, 3,450 kilometers (2,144 miles) to the east. The massive eruption also generated a series of tsunamis, which produced waves as high as 30 meters (98 feet) tall.